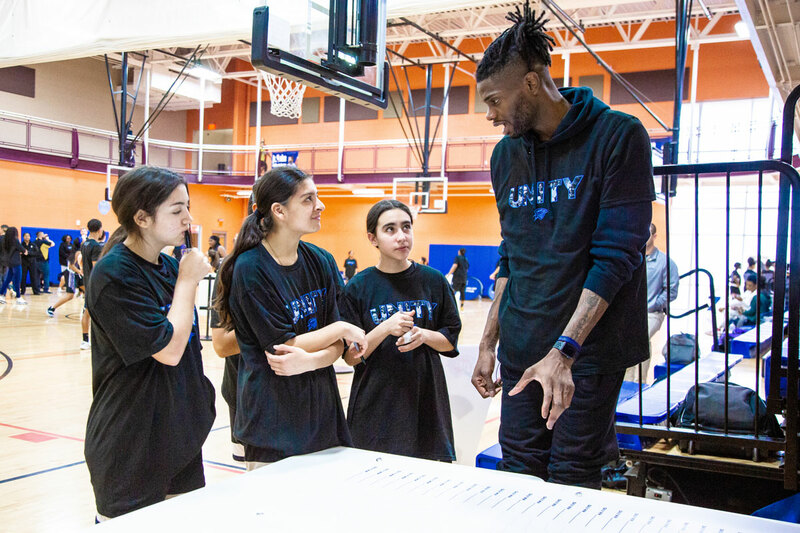 After the group photo capped a memorable afternoon, the excited young athletes flocked to Thunder center Nerlens Noel for a few more moments of face time. Holding court, the 6-foot-11 big man stuck around for a few more selfies before he captured all eyes and ears with his send-off message on work ethic, positivity and love. 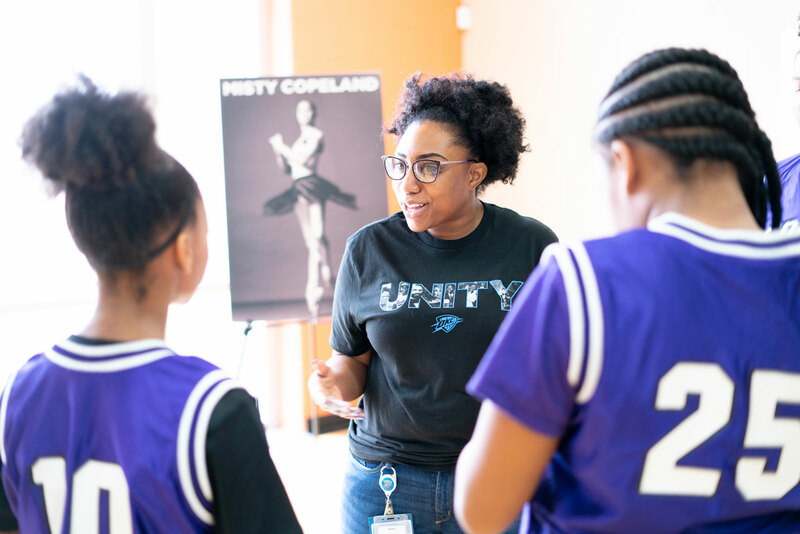 Celebrating Black History Month, Thunder Youth Basketball hosted the newly minted program, Thunder Character Combine, for the top middle-school girls basketball teams from Oklahoma City Public Schools and Tulsa Public Schools on Sunday. 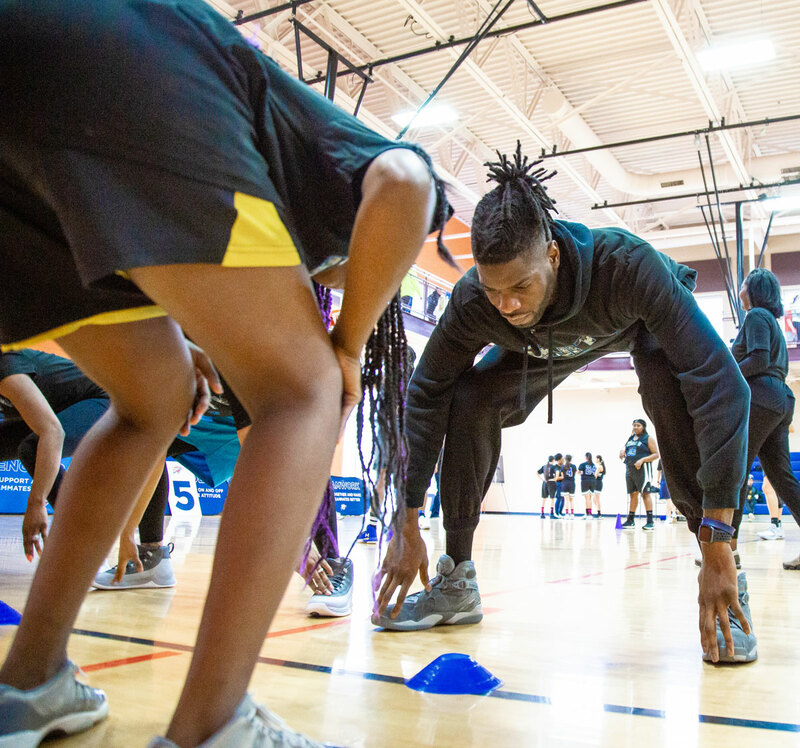 While a gamut of basketball drills and fitness tests was on the agenda, a Black History education station provided the twist for a hoops clinic. "It's about strong character values and how strong character values are built on the court. Those parallel and transfer off the court as well," said Michelle Matthews, youth basketball programs manager for the Thunder. "So the strong character you have, the respect you have and the encouragement for others, all of that is very applicable." 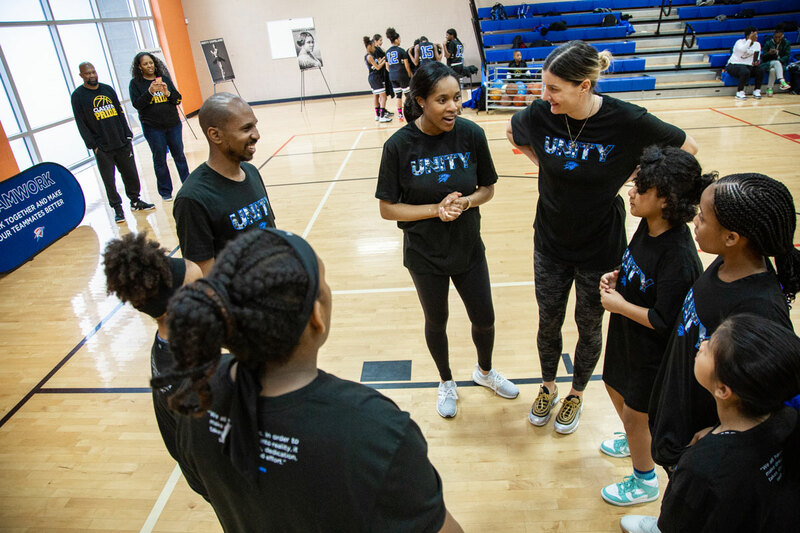 For Matthews, the ingredients to develop those values start with celebrating "daily wins" on and off the court in order to instill self-belief and personal growth for the girls. A student wrote "Get all A's" while another wrote "Sing everyday" on the big white WIN banner at one of the stations to have their daily wins in writing. "They find those daily wins and they'll become the best versions of themselves," Matthews said. "Things like this is one little seed of confidence, one opportunity, and that could inspire them for a lifetime." Working with the girls reminded Noel of his younger sister who plays high school varsity basketball. So playing the big brother role for the day was natural for him. "I think it's very important to give these young girls encouragement especially with the passion they have for this game " Noel said. "As long as they know that anything they put their mind to is possible, the sky's the limit." Nerlens Noel sparks ideas for "daily wins" at the WIN banner table. Students learned about the inspiring stories of Madam C.J. Walker, Misty Copeland and Oprah Winfrey at the Black History education station. Noel in a face-off to test his reflexes at the Reaction station. Nina Westbrook delivers a post-game pep talk to the girls on teamwork and perseverance.